His Highness the Prime Minister Sheikh Jaber Al-Mubarak Al-Hamad Al-Sabah receives head of the Permanent Committee for Streamling Business Environment and Enhancing Competitiveness (PCK) and his delegation at Seif Palace. 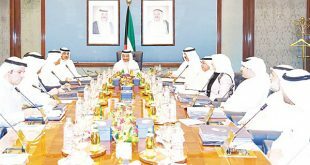 KUWAIT CITY, April 21, (KUNA): His Highness the Prime Minister Sheikh Jaber Al-Mubarak Al- Hamad Al-Sabah received on Saturday at Seif Palace head of the Permanent Committee for Streamlining Business Environment & Enhancing Competitiveness (PCK) Sheikh Dr Meshaal Jaber Al-Ahmad Al- Sabah and its members. His Highness the Premier stressed the importance of business and enhancing competitiveness, lauding accomplishments made in facilitating licensing procedures, boosting economy and attracting foreign investments. 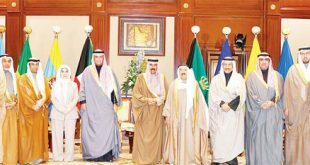 “This leads to economic diversifi- cation and benefiting from advanced technology in the developed countries as well as providing real opportunities to our young sons and daughters,” His Highness the Premier said. 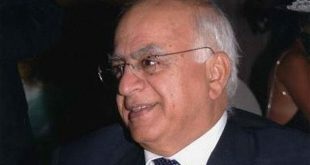 Such achievements complete the government’s directives so as to achieve economic reforms and combat corruption, he noted. His Highness the Premier expressed his hope that results of these accomplishments would enhance Kuwait’s rankings in the global indicators and achieve positive impacts on the ground. He reaffirmed the necessity of paying much attention to combat corruption, and bringing those involved in any negligence to accountability. Sheikh Meshaal made a presentation on the most prominent accomplishments made by the committee and businesses to be achieved soon. Sheikh Meshaal expressed his and members’ gratitude to His Highness the Premier’s confidence, thanking him for the meeting which will be a strong push to double efforts for further achievements. 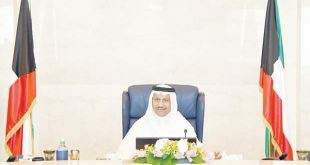 Deputy Prime Minister and Minister of State for Cabinet Affairs Anas Al- Saleh and Secretary-General of Cabinet Abdullatif Abdullah Al-Roudhan were present at the meeting. 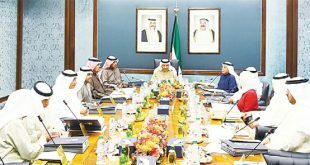 Meanwhile, all national development schemes recognize the private sector partnership as some of the plans’ bases and orientations, First Deputy Prime Minister Sheikh Nasser Sabah Al-Ahmad Al-Sabah has affirmed. 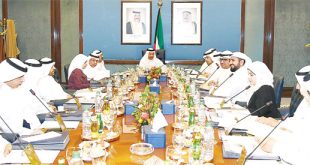 Sheikh Nasser, also the Minister of Defense and chairman of the “international northern economic zone,” noted the private sector vital role in Kuwait’s development strategy after a meeting with Ali Al-Ghanim, Chairman of the Chamber of Commerce and Industry. 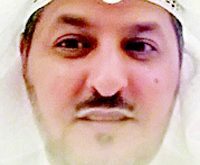 The development project in the north, namely Al-Harir (silk) city and the islands’ development, will be helpful for cementing relations and cooperation with neighboring states, said Sheikh Nasser, cited by a chamber press release, issued on Saturday. 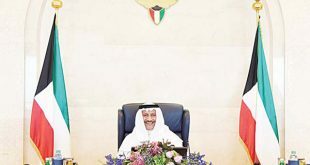 Al-Ghanim said the meeting with Sheikh Nasser constituted an initiative to establish “sincere and sustainable cooperation” between the minister and the chamber. 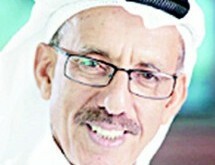 He also lauded him “not only in his capacity as a leader entrusted with the development file but also as architect of a bold development venture compatible with the chamber strategic concepts regarding easy trade proposed four years ago.” This grand development venture, “components of which are being put together by Sheikh Nasser,” is under umbrella of “New Kuwait Vision 2035,” launched by His Highness the Amir Sheikh Sabah Al- Ahmad Al-Jaber Al-Sabah May Allah safeguard him, Al-Ghanim explained. 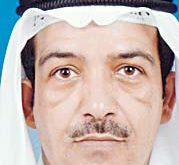 Al-Ghanim expressed hope to expand cooperation at this level not only for the north plans, but also for examining other development issues and problems affecting the private sector. 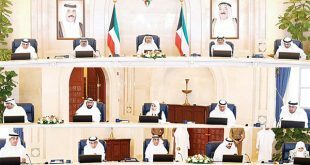 The chamber statement, citing members of the region board of trustees, explained that it would be a free economic zone, under an independent administration and would be financed by investors and finance markets, and not with state funds. Moreover, proceeds are projected to be equivalent to 25-30 percent of gross domestic product, thus constituting a main financial source for the state. Furthermore, the board members foresaw “advance steps regarding execution soon,” in cooperation with China which has expressed readiness to contribute to the planned major works as a contractor, financier and investor. 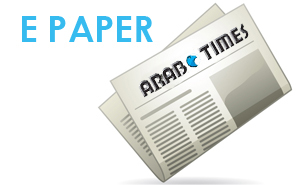 The board comprises Faisal Al- Medlej, Adnan Al-Bahar, Badr Al- Hajeri, Sara Akbar, Omran Hayat, Loulwa Al-Na’ma and Sheikh Jaber Fahad Al-Jaber Al-Sabah from Sheikh Nasser’s bureau. 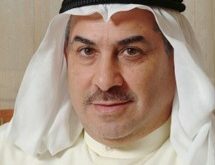 His Highness the Amir’s visionary strategy is essentially designed to transform Kuwait into a lucrative regional business hub. 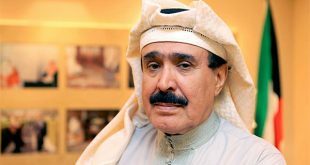 Among its aspects is building an advanced town in the north as part of the decentralization and approach — dubbed the silk city — and turn some of the Kuwaiti islands into leisure, tourist and business magnets.